Louis Dreyfus Company is a global merchant company that is involved in agriculture, food processing, international shipping, and finance. It also owns and manages hedge funds, ocean vessels, develops and operates telecommunications infrastructures and is involved in real estate development, management and ownership. 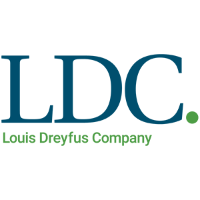 Louis Dreyfus is one of the "ABCD" quartet of companies - alongside Archer Daniels Midland, Bunge and Cargill - that dominates world agricultural commodity trading.